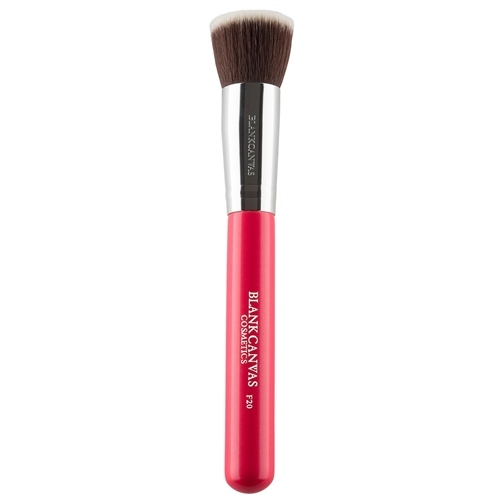 The F20 is our top selling multi-purpose face brush. Handmade from extra soft, high quality anti-bacterial, easy to clean synthetic fibres, this brush is also vegan friendly. The F20 is a multi-purpose face brush specially designed to suit foundation application techniques for all skin types-stipple or buff your foundation on with the F20 for a HD base. This brush can be used with liquids, creams and powders.